Do you ever wake up on Saturday or Sunday wanting a treat? But then, you remember all the bowls and pans you are going to dirty and then settle for scrambled eggs. 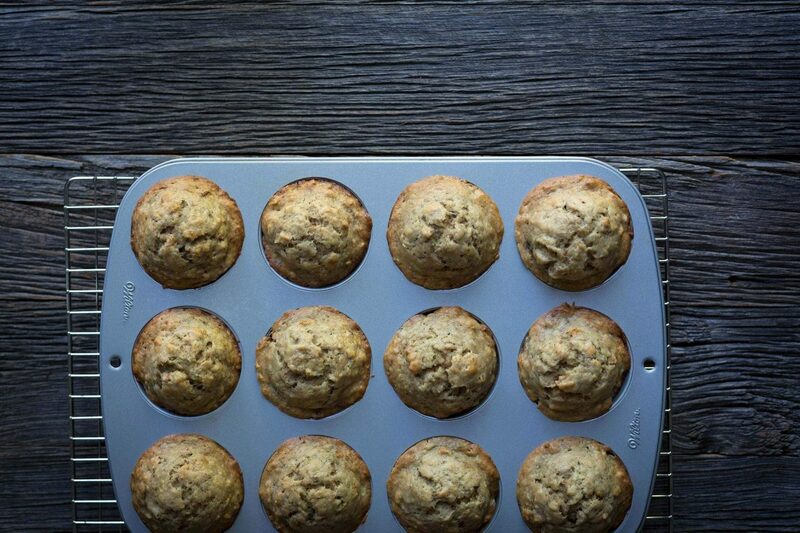 What I love about banana bread (here in a muffin shape) is that it’s so easy. There is minimal prep in this recipe. Simply place all ingredients in my vitamix and just blend it and bake, I love being able to have Saturday brunch treat on the table in 30 minutes. Preheat oven to 170 celsius. Combine all ingredients in blender, blend. (Alternatively, mash bananas. Add in wet ingredients. Whisk in dry ingredients.) Line a muffin tray with muffin liners. Fill the muffin tin until there is 1cm of room left. Bake for 20 to 23 minutes, until a toothpick inserted in the bread comes out clean. Let me know what you think about this recipe by leaving a comment below. Next Post HIIT vs LISS: Which One Should You Pick?